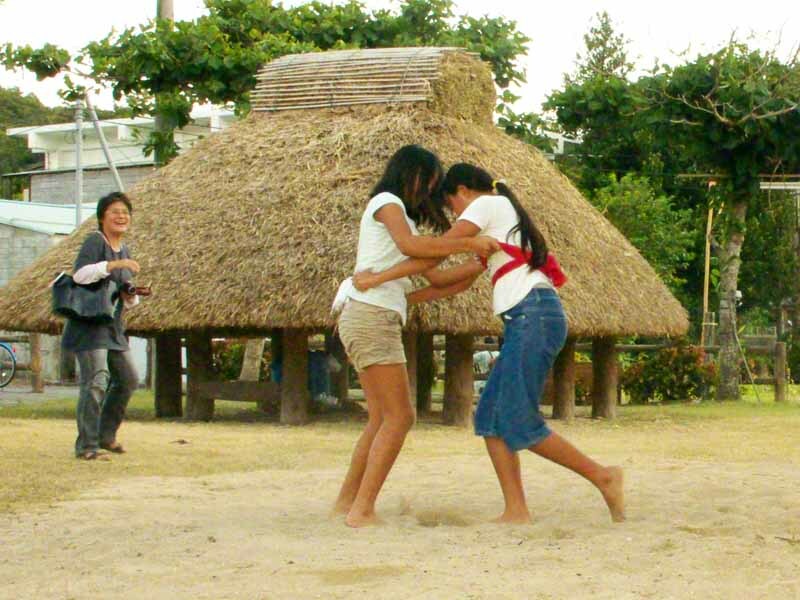 Ryukyu Life: Sumo in Okinawa (Photos) Ever See Girls Sumo Wrestle ? Have a look at photos of wildlife, festivals and travel sites here. Sharing tips for travelers with a twist of humor is part the life I enjoy in Okinawa, Japan. Photos and text Copyright © Michael Lynch. All photos contain traced digital watermarks. You may contact:http://www.ryukyulife.com/ for licensing. Sumo in Okinawa (Photos) Ever See Girls Sumo Wrestle ? 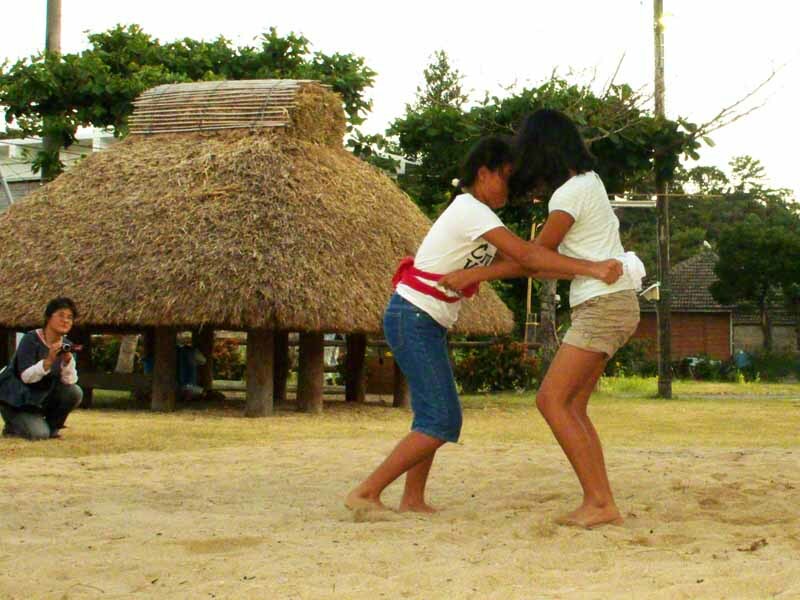 Sumo Wrestling in Okinawa, Japan isn't like the big, fat-bellied stuff you see on television. It's a sport that doesn't get all that much publicity. Here are a few photos from the Village of Ada. 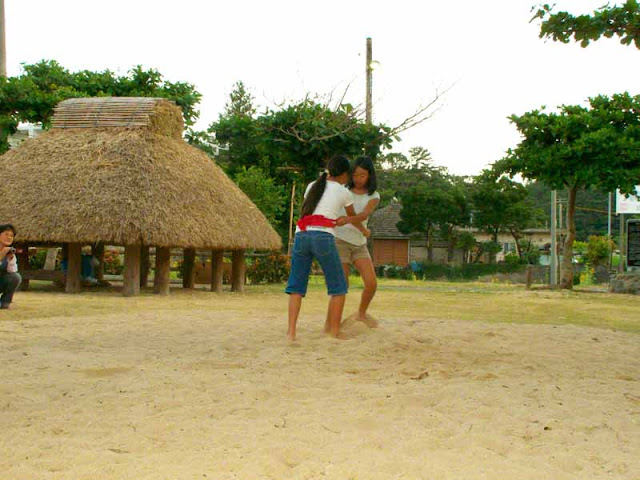 Just recently, I started shooting photos of children doing sumo. It happens at lots of festivals but, I've been too busy shooting other activities and never paid much attention to the wrestling events. 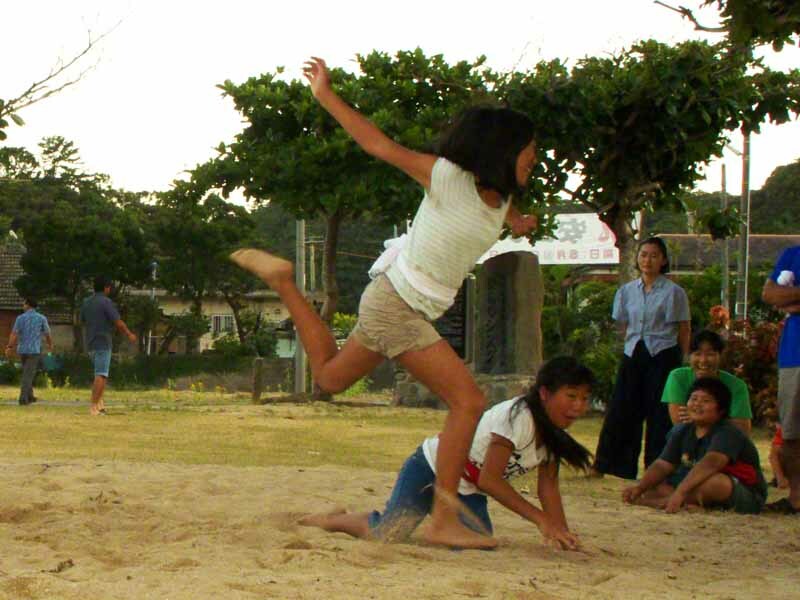 With little kids the match is usually over in a matter of seconds. Not with these two girls. 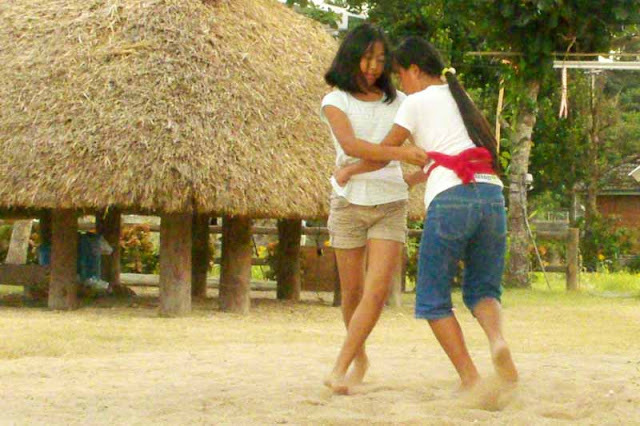 They acted like they were dancing, or something. Neither one wanted to beat the other is what I'm guessing. After a few parents, hecklers, or somebody yelled enough at them, they started doing some foot sweeps to try and trip up their opponent. So, now it just looks like they're dancing a bit faster. After a few minutes more of heckling, dancing, giggling and maybe whispering stuff like "We better do something or they'll never let us out of this predicament. Just fall down or get knocked down ya hear"! NO, YOU FALL DOWN. YOU WITCH ! I BELIEVE I CAN FLY ! 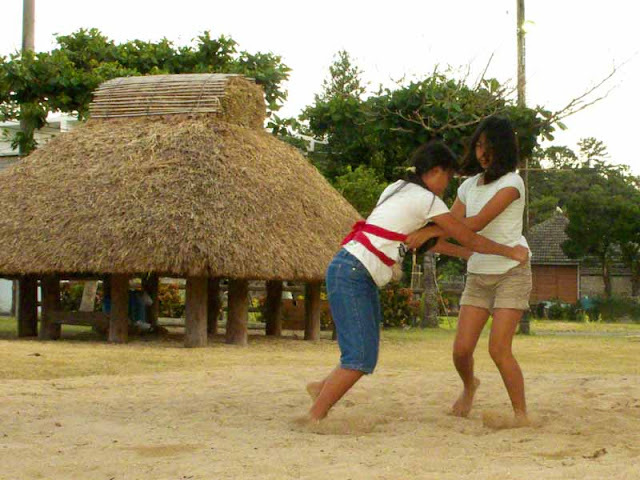 Look for more Children's Sumo Wrestling like "Girl Sumo Wrestler Beats Boy" right here in the near future. Have You Ever Been Sucked Into an Iris Field ? Photos and text Copyright:. Awesome Inc. theme. Powered by Blogger.